Calling all Alaska realtors and homebuyers! We are looking for outgoing, outspoken and enthusiastic people who want to show off their passion for all things Alaska — on Living Alaska! Part travel show, part home show, Living Alaska showcases what life is like when you’re moving up from the Lower 48 and looking for your Alaskan dream home. We can consider buyers who have moved within the last year or are planning to move within the year—mostly, though, we are looking for buyers with PERSONALITY! WILD PERSONALITY! Living Alaska will feature a few select real estate agents who are Alaska housing experts, but we are always eager to meet new, energetic Realtors with BIG personalities! Please get in touch! In each episode, agents will take a homebuyer to view 3+ properties in their price range in an attempt to find the perfect place. Any price range will be considered, as long as buyers are looking for unique Alaskan homes! Please include your contact details, a photo of you and your family and a brief summary of why you are moving or recently moved to Alaska. We are now casting outgoing renovators for season 3 of Brother vs. Brother, HGTV’s hit competition series featuring The Property Brothers. 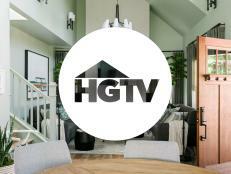 HGTV is looking for dynamic and handy teams of two who are unafraid to get their hands dirty and flip a house for HGTV’s home renovation competition show Flipping the Block.